A personal injury can be a huge disruption to life. As well as the pain and debilitation it can cause, it also has plenty other negative effects. The hit to your insurance or finances. Stress. Inability to work. There are also lots of debilitating mental effects that can follow, too. If the injury wasn’t your fault, why should you be the one paying for the chaos caused by someone else? To make sure you get every penny you deserve toward getting your life back on track, we have a few tips. Do I qualify for a claim? The ability to win a claim for personal injury depends on a lot of factors. If you’ve suffered physical or mental injury in a situation that’s entirely someone else’s fault you most likely qualify. Any injuries or stress that impact your ability to make a living also count. It’s best to talk to your legal representatives to find out the specifics. 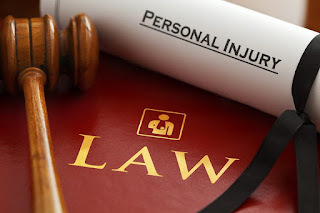 You can prepare by learning a lot more information about personal injury claims in general from this site. Even if you’re not immediately pressing any charges or going down the legal route, this is a very important step. You need to build the records in any way you can so your claim doesn’t seem to come from thin air. The police will have to note any details you share with them and we recommend sharing the full extent of any injuries as well as the details leading to it. Workplace negligence. Automobile details. Other involved personnel. These are details you should get on record as soon as possible. Another step to establishing the level of recording that make all the difference when it comes to the courts. Note down every visit to your doctors. Every appointment. Every test. Every diagnosis. Every prescribed treatment. You can request your own medical records, too. This all builds irrefutable evidence of the personal costs to you, your finances and your lifestyle. Leaving out any detail leaves out the chance it will be considered when you receive your financial rewards. When it comes to personal injuries, it matters that you hire lawyers specialised for this kind of case. Get to know the firm, their references and their specialities. Most personal injury attorney websites give details on their specialised fields. Make sure they have available referrals and are willing to discuss the details of your claim before representing you in a court. When things get to that legal state, make sure that your finances are protected, too, by following our guide. supporting evidence of the accident occurrence.